10 Ways Cats Enrich and Benefit Our Lives – Ginger Kitties Four – Celebrating the Kitties We Love! If you don’t have a cat in your life yet, it will be surprising to know that keeping a cat is perfect for companionship. In fact, contrary to popular belief, a cat is as good a companion as a dog. A study conducted in Austria in 2003 highlighted that if you are a woman, having a cat around you brings you similar benefits as that of having a romantic partner. Cats are great to spend time with if you have to spend a weekend alone. Spending 20 to 30 minutes of play time with your cat will calm your nerves, boost your mood, and reduce stress levels. Spending time with your cat increases the production of serotonin which enhances your feelings of well-being. At the same time, the levels of cortisol in your body go down. Stress is one of the direct reasons of high blood pressure and can lead to hypertension and high cholesterol. Spend some time with your cat and keep the blood pressure pills away! Having a cat in your home has a calming effect on your mind and body. People going through mourning or grief have reported that talking to their cat helped them emotionally. In fact, cats are low-maintenance, and a petting session can help relax their owners and make them feel better. Just being around a cat brings about the release of oxytocin, a hormone which helps induce feelings of trust and love. You’ll be better placed to face the struggles of life if you know that you have a loving cat to go back and cuddle with at home. If you own a cat, your chance of developing heart disease goes down. The University of Minnesota published a study highlighting that non-cat owners were around 30% to 40% more likely to develop cardiovascular disease as compared to cat owners. This protective effect might be due to cats bringing down your stress levels. Not only will your quality of life improve, but you are also likely to live longer as well. Studies in the UK have highlighted the fact that women get better sleep on sleeping with their cats as compared to sleeping with their partners. The Mayo Clinic Center for Sleep Medicine published a recent study stating that as much as 41% of people said they slept better because of their cat. Now, we are not suggesting you banish your husband or your boyfriend to the living room couch. But, if you live alone, owning a cat will most likely ensure you get better sleep at night. If you are a cat owner, then you’ve got a topic to speak about during social occasions. Your ability to socialize will improve as talking about your cat is a great conversation starter. In fact, if you are a man take note. A study concluded that women are attracted towards men who own cats. The reason being cat ownership portrays intelligence and sensitivity. Not to mention that owning a cat will definitely bring out your sensitive side. Yes, it’s true. You can train your cat to detect different types of health hazards ranging from seizures to food allergies to low blood glucose. In fact, Nathan Cooper’s life was actually saved by his cat Lily in 2011. Nathan lives in Bournemouth, UK and suffers from weekly epileptic fits. After one particular severe fit, Nathan stopped breathing completely. Lily started licking his mouth, and he started breathing again! Experts have said that a cat’s keen sense of smell helps them to detect chemical changes in a human’s body before a fit. If you are pregnant, then you should definitely get a cat. The National Institutes of Health published a study in 2002 which stated that children under the age of 1 year benefited by having a cat at home. They were lesser likely to develop pet allergies and also allergies to mites, dust, grass and ragweed. The immunity levels of babies and young children who live with cats are higher than those who don’t. If you are clinically depressed, then having a cat helps in managing the condition. While owning a cat might not cure your depression, you will be able to focus on something else. Interacting with your cat will help you feel better. It will also aid in taking your mind off your own problems. The love and affection that your cat gives you will have a soothing effect on you. While we do not recommend you stop your anti-depressant medication, having a cat around you will definitely help you combat your battle against depression. If you are suffering from severe anxiety or low self-esteem, owning a cat can really help. 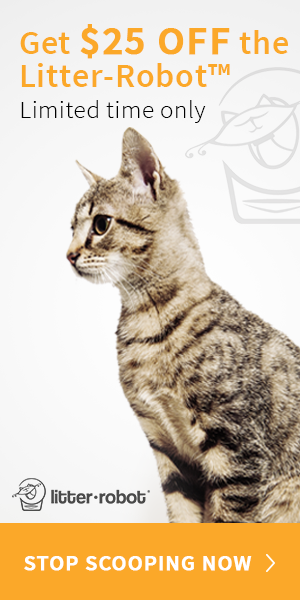 Cats have a calming presence which will help you replicate the same in your demeanor. Actively taking care of your cat has a positive effect on your health. It helps you get a different perspective on your problems. Taking your cat out for a walk or playing with them for some time will bring about feelings of well-being. Seeing your cat chase a butterfly, or frolic around after a ball of cotton wool will always bring a smile on your face. Cats can help fill that hole in your life which you cannot fill with possessions or money. You’ll get friendship, faithfulness and unconditional love from a cat. Even though you’re likely to outlive your cat and will face unbearable pain when they leave you, the quality time you spend with your cat will be definitely worth it. I agree with this 100 percent! I have 2 kitties – one of them is a big ginger and white male baby. He is the love of my life! How we got him Well he was abandon on a Highway Covered in my loaded fleas The Vet said we got him in time. We was just a little boy.